If you'd like to enjoy the benefits of doTERRA Oils for yourself or your family fill out the form below. You may also consider joining my business team. My team works together so that we may achieve our goals while sharing health and wellness with others and creating financial freedom. My family and I use doTERRA Essential Oils as a safe, natural alternative to chemical and pharmaceutical products. doTERRA has been a part of my home and family for years. 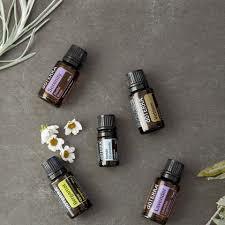 You may use this link to purchase your doTERRA Oils as a Wholesale Customer, receiving wholesale pricing with the option to build a business in the future. You may also consider building a business with doTERRA, by becoming a Wellness Advocate. After several years of enjoying the oils, I began to share the oils with friends and family. That evolved into the team I have today. I work on the average 15 hours a week on growing my business.